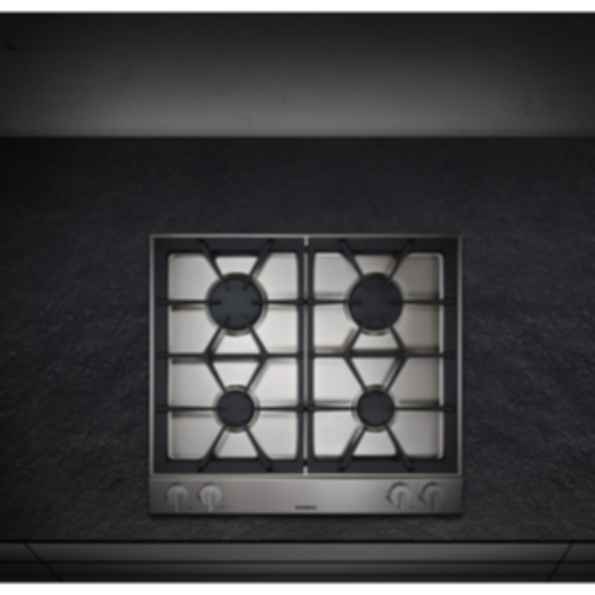 Vario gas cooktop 200 series VG 264A classic 24 inches wide gas cooktop with an output of 32,000 BTU on four burners: two high-output burners and two standard-output burners, each with two flame rings for different types of cookware. Smooth-surface cast pan supports ensure hassle-free and safe moving of pots and pans. The generous control panel in stainless steel provides convenient handling.